With a Birthday on the way and some cabriole legs on the cards for a future project, I lashed out and invested in some new Auriou Rasps. If you not familiar with Auriou, there is a great clip on youtube showing the manufacturing process. 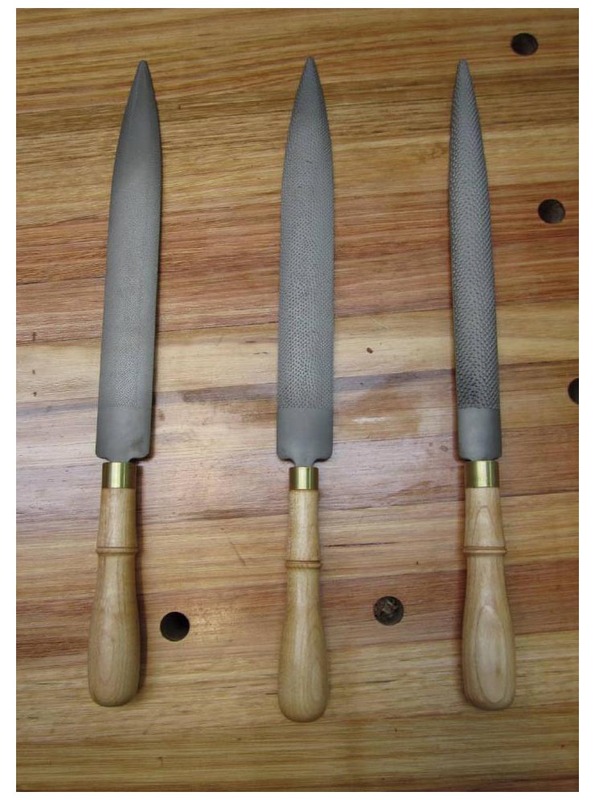 I ordered, 3 rasps all 12inch in length, a 3 grain, 8 grain and 12 grain. 3 grain being the roughest and the 12 grain the finest. The rasps arrived in record time, and very well packaged, another bonus when buying from Lie Nielsen is that they include their own handles which complement these rasps very well. I did a quick test cut, on some scrap Melunak and was very pleased with the speed and quality of cut. 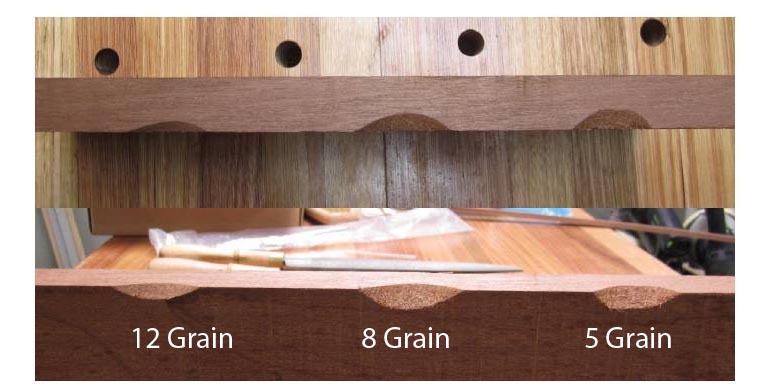 This photos show a comparison between the various grains and the result after 10 strokes. I was surprised and how similar they were in speed of cut, the main difference was with the size of the tooth marks left behind. 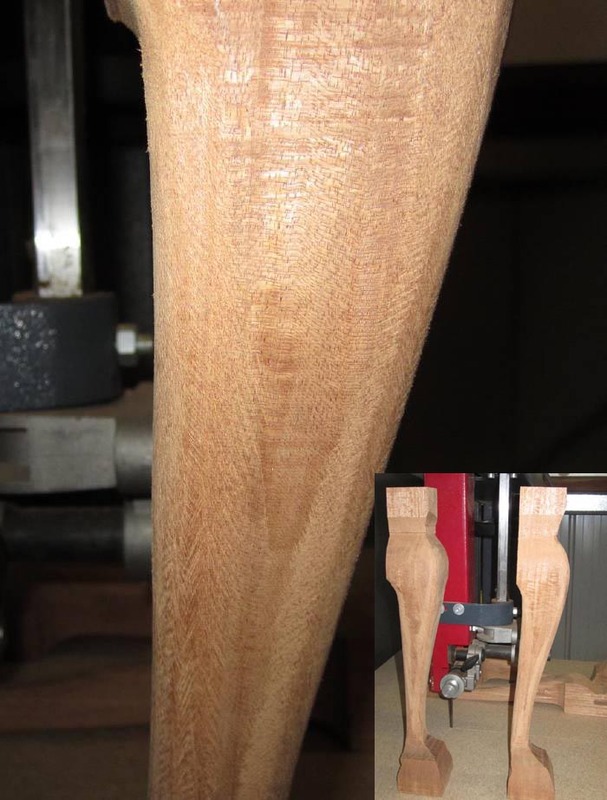 Now onto a real project, shaping a cabriole leg. When shaping a leg, I try to do as much as possible with a spokeshave, but when fairing to the edge of the leg only rasp will get into those tight spaces. I found the 12 grain did the job perfectly, the rougher grains simply took too much off and would have been ok if I started the process with them instead of the spokeshave.